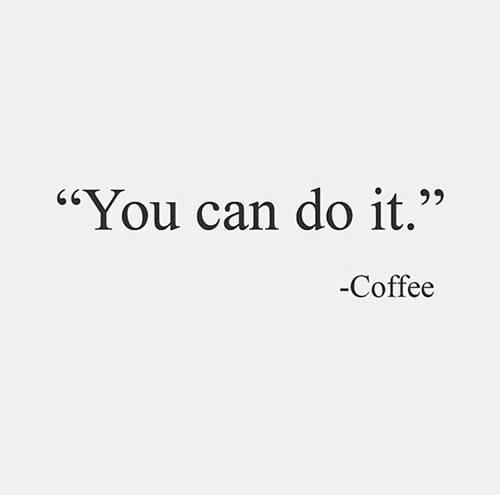 Sharing this little post again, because…well, it’s my blog and I can if I want to 😂 Plus, with it being the last Friday of summer vacation I think we’ve all been here a few times and could use a friendly little reminder about the joy of coffee! I woke up this morning and the first thing that entered my congested, hurting head was “great, I’m getting sick!” So, I laid in bed a little longer, made myself get up, and stumbled downstairs. Ignoring the girls, who were in their bedroom on the iPad. Which is quite a thing; I usually don’t show such restraint, and how in the world can the Shaytards be that entertaining? I did not check on the boys, who were in the basement. Also a thing, because I am sure they stayed up all night playing video games, and needed food and water, and someone to make sure their eyes had not in fact burned up in the sockets. I finally made my way to the kitchen. It seemed like it took forever! Like every step was a mile and every noise I heard made my head explode. But, I had survived the journey and my reward was the sweet smell of those delightfully roasted beans as hot water poured over them. I stood there taking in the beautiful smell, and thought to myself how can I be getting sick the day before we leave for vacation? Of course, my thoughts were disturbed by yet another fight about whether one girl spitting at the other was on purpose or by accident (you read that right; ANOTHER fight about spit), only to be reminded that I really didn’t feel well or have the patience for THIS day…AGAIN. I poured that sweet smelling goodness into my mug and inhaled. Let it cool for a second and took a sip. Then, I took another and looked out the window. It was in fact a really beautiful morning. I took a few more sips and smiled. I thought of how nice it was that the girls had each other; even though they have been fighting like stray dogs in an alley. I was also grateful for the boys, and the fact they have been friend for the last 5 years. As I stood on the porch, the noise of the continuous arguing faded, and the world felt like it was at peace around me. Birds chirping in the background, sunlight beaming through the windows, and a cool breeze hitting my face, I realized my headache had also faded into the background. I could also breathe a little better. My congestion had melted away as I stood here sipping this dark wonderfulness (it’s a word; trust me). Coffee had healed me. This dark nectar of God had stepped in and transformed me into a person. It had grabbed me by the shoulders, looked straight into my eyes and told me I was fine. I was going to make it through the day. I was doing this…and I was happy doing it! I felt like a new person. Awake and ready to tackle another day! 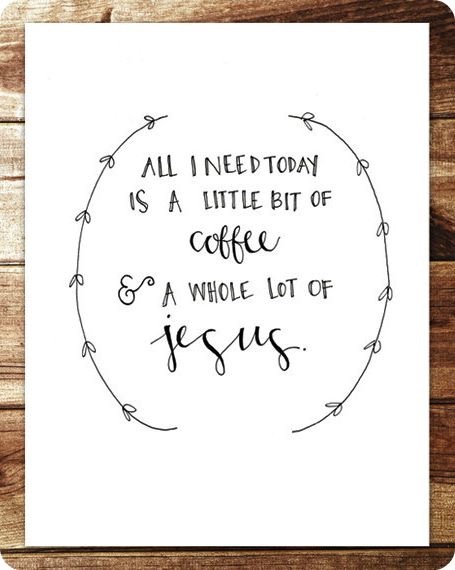 I am going to choose happy this week (and probably for the rest of the summer at the very least) because I have coffee…and Jesus…and Jesus made coffee. I am starting to realize these two things are the only way I am going to make through summer. Okay, life. I meant to say; the only way I am going to make it through life! I woke up this morning and the first thing that entered my congested, hurting head was “great, I’m getting sick!” So, I laid in bed a little longer, made myself get up, and stumbled downstairs. Ignoring the girls, who were in their bedroom on the iPad. Which is quite a thing; I usually don’t show such restraint, and how in the world can the Shaytards be that entertaining? I did not check on the boys, who were in the basement. Also a thing, because I am sure they stayed up all night playing video games, and needed food and water, and someone to make sure their eyes had not in fact burned up in the sockets. I finally made my way to the kitchen. I stood there taking in the beautiful smell, and thought to myself how can I be getting sick the day before we leave for vacation? Of course, my thoughts were disturbed by yet another fight about whether one girl spitting at the other was on purpose or by accident (you read that right; ANOTHER fight about spit), only to be reminded that I really didn’t feel well or have the patience for THIS day…AGAIN. As I stood on the porch, the noise of the continuous arguing faded, and the world felt like it was at peace around me. Birds chirping in the background, sunlight beaming through the windows, and a cool breeze hitting my face, I realized my headache had also faded into the background. I could also breathe a little better. My congestion had melted away as I stood here sipping this dark wonderfulness (it’s a word; trust me).